The time I would spend blogging tonight shall be devoted to gluing my broken flower. I have two glass flowers stuck in these really tall vases that sit in my office window sills. 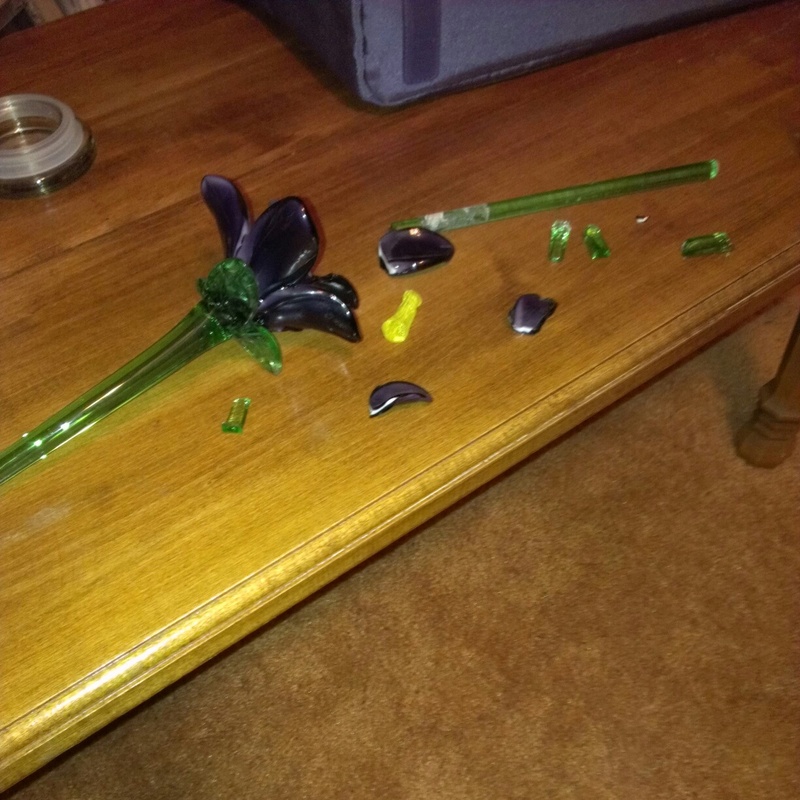 I pulled back the curtain this morning and knocked the vase over, breaking the flower, spilling part of the rice in the vase (that keeps the flowers in place). I had to vacuum rice up to start my morning, and cut my finger so I was bleeding all over the Dust Buster. I have to fix this because I am not going back to Branson for a replacement.